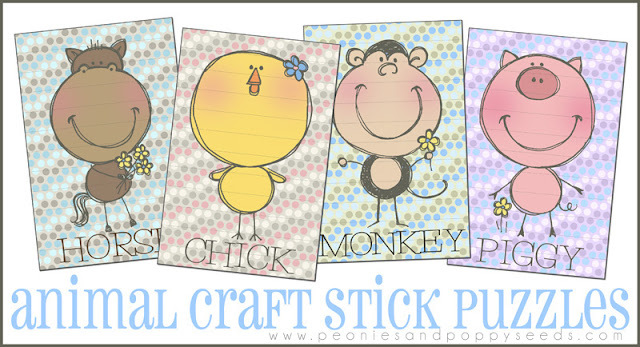 Craft stick puzzles are one of my new favorite things. My kids love them, and they're cheap to make, and they don't get destroyed like paper pieces. 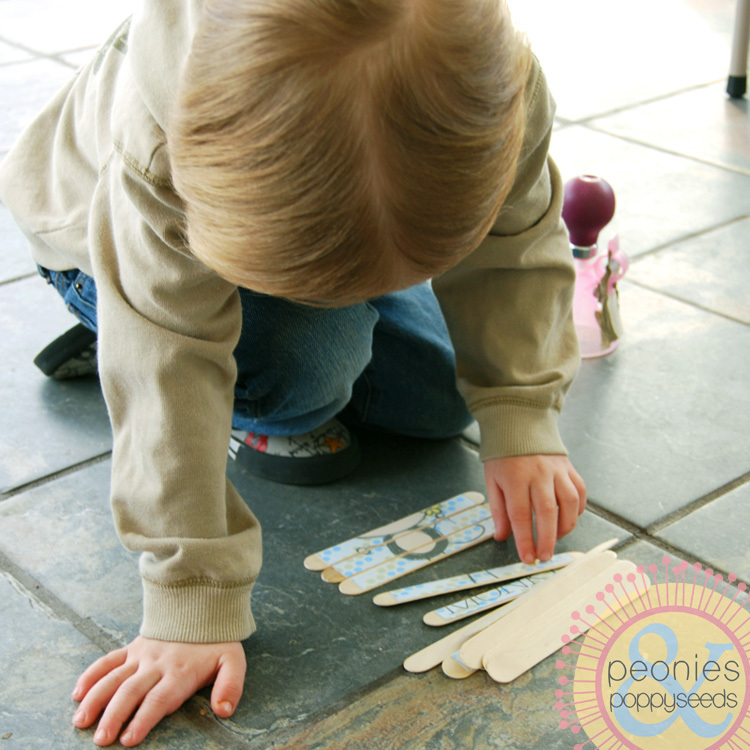 If you haven't made craft stick puzzles before, let me tell you how tremendously easy it is. Just click to download this free printable. Print the pages on cardstock and cut around the whole puzzle (don't cut each piece out yet). This next step is optional, but I highly recommend it. Cover the fronts (only) in clear contact paper. This will help your puzzles last longer, especially since you know they're going to be handled by grubby little kid fingers. 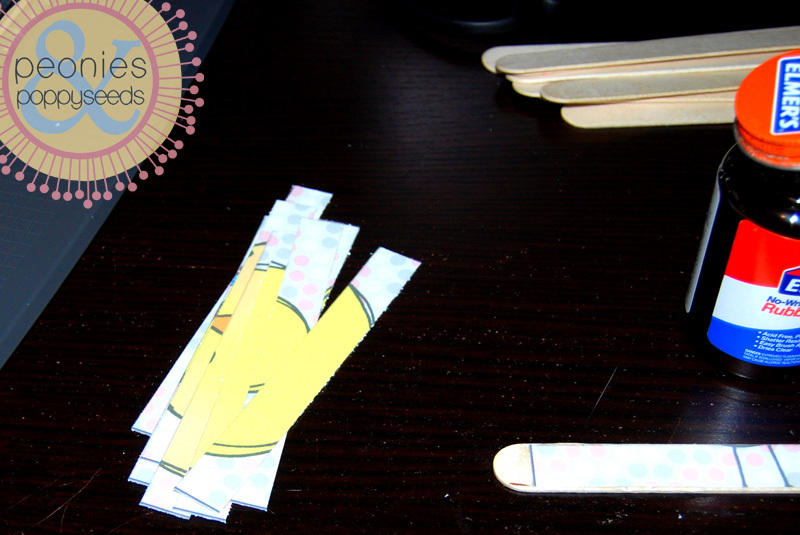 Get a bunch of big craft sticks out, and rubber cement a piece to each one. Try to center the pieces on the craft sticks just so they look better. If a person was smart they would put one puzzle on one side of the stick and then a different puzzle on the other side of the stick. Therefore needing half the amount of sticks. A not so smart person, such as myself, just uses a whole bunch of single sided sticks. 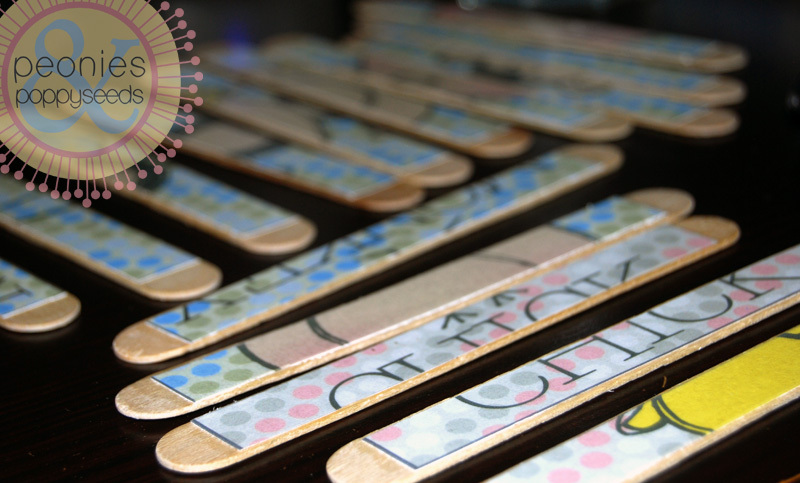 Your sticks will need to dry before you can play, but rubber cement doesn't take long to dry. 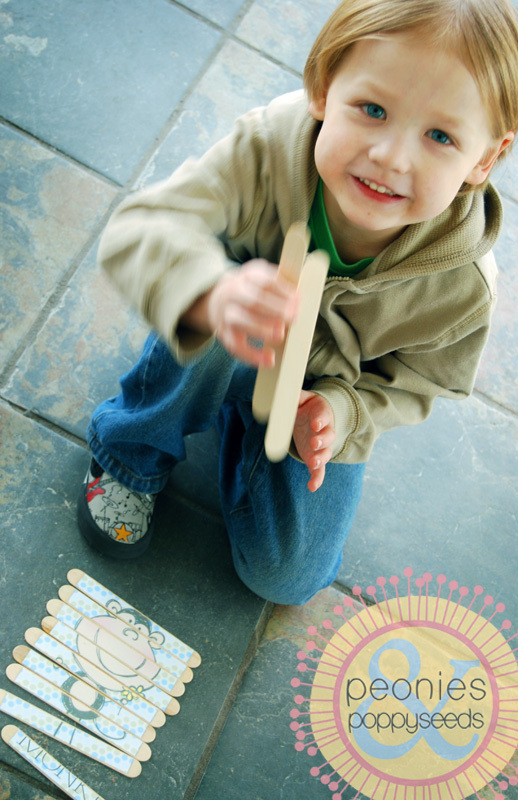 To play with the puzzles, just hand your child the finished group of sticks. You can make it easy by separating each puzzle to do one at a time, or the whole pile so your kid has to pick the right pieces before assembling.